January 2019 marked 60 years since Fidel Castro seized power in Cuba. At the time, the revolution inspired leftist movements throughout Latin America, and started a long-term trend in that direction. Today, however, much of the region is shifting to more conservative policies, as necessitated by economic crises such as those in Venezuela and Nicaragua, and as reflected by the policies of recently empowered leaders in Chile, Brazil, and Argentina. At the time of the revolution, Cuba was one of the richest countries in the region. It still has a high literacy rate and a low infant-mortality rate compared to many of its neighbors, but the economy hasn’t been good. For decades, it relied on help from the Soviet Union. Following the collapse of that nation, Cuba’s GDP declined by 33 percent over three years (1990 to 1993), primarily due to loss of the subsidies and a drop in world sugar prices. For a while, Venezuela propped up the Cuban economy, but the crisis in Venezuela has ended that. Cuba is now one of the poorest nations in the region. It doesn’t report its financial statistics, but estimates put Cuba’s per capita GDP below those of Argentina, Brazil, and Chile. As recently as 2017, it was even below Venezuela. For years, many Americans hoped that Cuban communism would fall with the death of Fidel Castro; however, when he passed away in 2016, he was succeeded by his brother Raul, who remains head of the party and commander in chief of the armed forces; Miguel Díaz-Canel serves as president of Cuba. Both men have been adamant that Cuba’s Stalinist political and economic system isn’t negotiable. Too many Americans have a false, idealist impression of Cuba under the Castros. It is a nation ruled by the threat of violence with no respect for human rights. Central control means not only of businesses, but also of communications and opinions. At certain times in Castro/Cuban history, celebrating religion could result in being sent to a work camp. It was, and, in many ways, remains a tyrant regime. 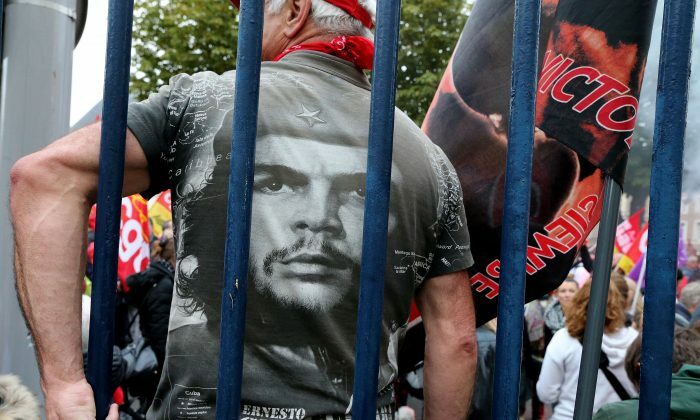 Years ago, a colleague in the law faculty had a poster of Ernesto “Che” Guevara on his wall. You’ve certainly seen the image on posters, t-shirts, and elsewhere. The picture was taken on March 5, 1960, at a funeral service for 136 people who were killed when a French ship carrying arms to Havana was sunk. Alberto Korda, a Cuban photographer with the Cuban newspaper Revolución, took the photo showing the 31-year-old Che as a long-haired, bearded rebel wearing a beret. Korda entitled it Guerrillero Heroico (Heroic Guerrilla), and it went on to become the face of the revolution and one of the most reproduced photos of all time. Of course, that didn’t happen without planning, and it didn’t happen quickly. The photo initially went unpublished. Korda cropped out another person who was caught in the frame, and he printed a copy to decorate his studio. There it hung for several years. In the mid- to late-1960s, the Kremlin’s popularity was at an all-time low. The Soviet’s suppression of the 1956 Hungarian uprising and their instigation of the 1962 Cuban missile crisis had turned world opinion, and communist leaders around the world tried to save face while distancing themselves from this recent history. In Czechoslovakia, Alexander Dubček pitched “Socialism with a human face.” Polish leader Władysław Gomulka used the slogan “Let Poland be Poland.” Romania’s Nicolae Ceauşescu announced his independence from Moscow and portrayed himself as a maverick among communist leaders. Even Nikita Khrushchev replaced the “immutable” Marxist-Leninist theory of the world proletarian revolution with a policy of peaceful coexistence. In Cuba, Castro wanted nothing to do with liberalization of his politics. He decided it would be simpler to plaster a romantic revolutionary façade over Cuba’s communism. It started in 1967, when KGB agent Régis Debray published the book “Revolution in the Revolution,” a primer for communist guerrilla insurrection. The book lavished praise on Che, who was leading the band of guerrilla fighters that Debray was part of. They were in Bolivia just a few months later when they were captured by a Bolivian Special Forces unit trained by the United States. Che was sentenced to death and executed for terrorism and mass murder. The Castro brothers then shifted Che’s sanctification into high gear, and Korda’s photograph became the centerpiece. Since Bolivia was an ally of the United States, Guevara could be portrayed as a victim of American imperialism. The KGB offered support, and “Operation Che” was launched. Guevara’s long, curly hair and penetrating eyes made Korda’s photograph very attractive to American youth in the 1960s and 1970s. It appeared on posters, t-shirts, and elsewhere. Communist authorities encouraged its use by declining any royalties. Fidel said that profiteering would be “unrevolutionary.” That certainly helped spread the image and the message. Hochhuth, by this time, had already been identified by British intelligence as a possible agent of influence for the KGB. In reality, as a Cuban law student explained to my colleague who had hung Che’s poster on the wall, Guevara was a sadistic killer. He established labor camps modeled after Soviet gulags and ordered the execution of hundreds of thousands of Cubans, including children as young as 14 years old. It’s time to see through this disinformation. Untold suffering has taken place in communist Cuba. In the first 40 years following the revolution, the Castro regime carried out approximately 16,000 executions. About 2 million Cubans escaped from that “socialist paradise,” and an estimated 30,000 other died trying to do so. The perpetrators of these outrages should be condemned, not celebrated. 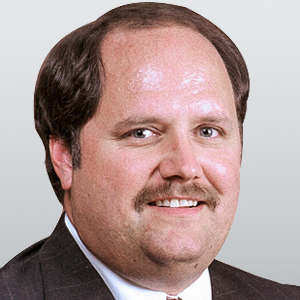 Ronald J. Rychlak is the Jamie L. Whitten chair in law and government at the University of Mississippi. He is the author of several books, including “Hitler, the War, and the Pope,” “Disinformation” (co-authored with Ion Mihai Pacepa), and “The Persecution and Genocide of Christians in the Middle East” (co-edited with Jane Adolphe). Was Che Guevara a Hero or Murderer?